The Samsung Galaxy Note 9 appears to have leaked online in the form of a 360-degree render showing off the handset complete with a massive 6.3-inch screen, S Pen, and headphone jack. 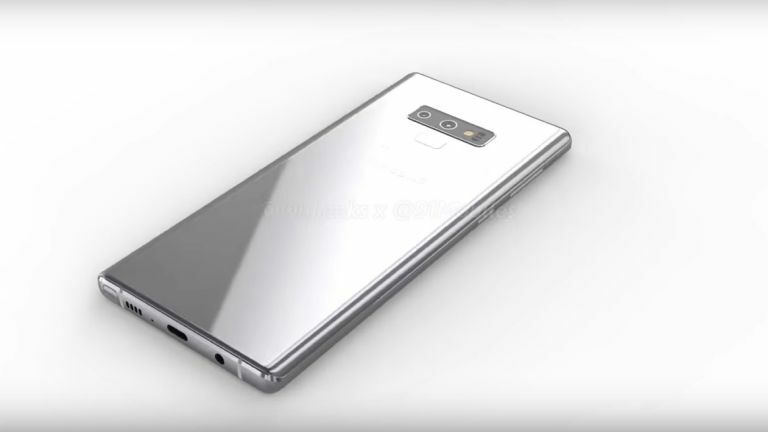 The Note 9 render is shown off in a 360-degree video on 91Mobiles but carries a extra weight as it was also tweeted by reliable leakster Steve Hemmerstoffer of OnLeaks. The visuals are apparently from the actual CAD (computer-aided design) files used at the Samsung design studios. As you can see from the video, the Samsung Galaxy Note 9 won't be massively different from the S9, or indeed the Note's predecessor, the Note 8. The front of the Samsung Galaxy Note 9 is naturally dominated by the large 6.3-inch display. Samsung has also moved the fingerprint sensor under the camera, rather than beside it, which will make it easier to locate. It won't be embedded in the screen – as some were hoping – that'll seemingly be in the Samsung S10. It's clear from the video that Samsung will continue to include the headphone jack, Bixby button, and S Pen. The lack of ground-breaking innovation in this minor upgrade may annoy some people, but Samsung is clearly deciding that if it's not broke, don't fix it. Seems like Samsung is keeping its innovation powder dry for the Samsung Galaxy S10 – which might even have a new, non-Galaxy name by then – in 2019.